Scientists usually refer to compounds that contain the element carbon as organic, although some carbon-containing compounds are not organic. Carbon is unique among other elements because it can bond in virtually limitless ways with elements such as hydrogen, oxygen, nitrogen, sulfur and other carbon atoms. Every single living thing needs four types of organic compounds to survive -- carbohydrates, lipids, nucleic acids and proteins. Organisms encounter these fundamental compounds within their diets or may make them inside their bodies. Carbohydrates are organic compounds that contain carbon, hydrogen and oxygen atoms in a 1-2-1 ratio. Scientists acknowledge three different types of carbohydrates that vary in the number of sugar molecules they contain, according to Dr. Mary Jean Holland of the Department of Natural Sciences at Baruch College. Monosaccharides, such as glucose, contain one sugar molecule. Disaccharides like sucrose and lactose have two sugar molecules. Polysaccharides such as starch and cellulose are links of numerous sugar molecules. Organisms use carbohydrates as energy, in certain cellular structures and as a way to store energy for later use. Professor William Reusch, in his Virtual Textbook of Organic Chemistry, indicates that carbohydrates are the most plentiful organic compounds in organisms, with glucose being the most familiar carbohydrate form. Lipids consist of compounds such as fats, oils and waxes. These organic compounds store energy, form structural components within cells and serve as insulation in organisms. Dr. Alfred Merrill and Dr. Rachel Shireman, writing in the Journal of Nutrition, state the human diet should include only a few essential lipid types: linoleic acid and the vitamins A, D, E and K. The U.S. Department of Agriculture’s 2005 Dietary Guidelines for Americans recommends adults limit fat in their diet to between 20 to 35 percent of daily calories. Two types of nucleic acids exist in living things: deoxyribonucleic acid (DNA) and ribonucleic acid (RNA). Often described as the “blueprint” of life, DNA dictates the genetic codes of organisms, which, in turn, determine their characteristics. DNA stores the information to make a special type of RNA called messenger RNA, or mRNA. RNA is directly responsible for the production of proteins. 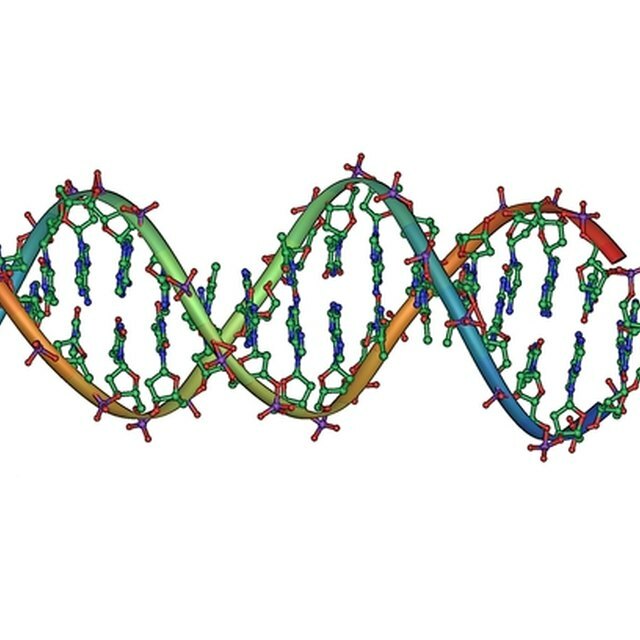 DNA consists of single units called nucleotides, taking the form of two separate strands wound together into a twisted ladder-like shape called a double helix. RNA, also consisting of nucleotides, forms a single strand very closely related to DNA. The variability in the sequences of the nucleotides in our DNA and RNA makes us individuals by determining the various proteins our bodies make and, ultimately, the characteristics we possess. Proteins are possibly the most versatile of all the types of organic compounds found in living things. They make certain reactions possible in organisms, transport other compounds around the body, help body parts move, provide structure and basically contribute to all functions within the body. Like other organic compounds, proteins consist of smaller building blocks called amino acids. Most proteins on earth contain combinations of just 20 amino acids, according to Colorado State University's Biotechnology Hypertextbook. Dinh, Ho-Diep. "Four Major Groups of Organic Compounds That Compose Living Organisms." Sciencing, https://sciencing.com/four-compounds-compose-living-organisms-7326618.html. 14 March 2018.